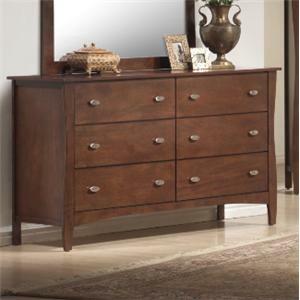 You'll be set with this drawer dresser in your bedroom. The piece carries a medium brown finish and features square tapered feet as well as okume veneers. Plus, the six drawers are great for keeping sweaters, jean, blankets and bedsheets. 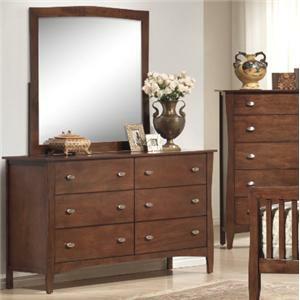 There will be so much to be pleased about with this attractive dresser in your home. 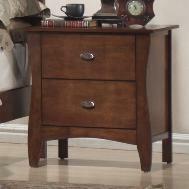 The 0110 Drawer Dresser by Lifestyle is available in the area from BigFurnitureWebsite. 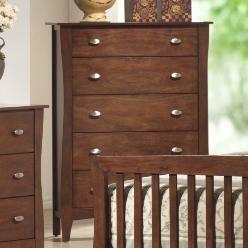 You can have a handsome setting for your bedroom decor with help from the bedroom collection. 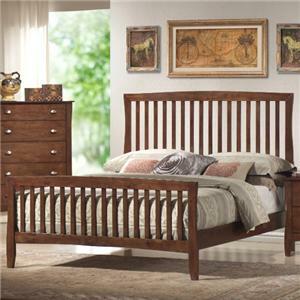 The pieces carry a medium brown finish with okume veneers while the bed features gently arched headboard and footboard with a slat design, which reigns with simple style that is sure to have a timeless appeal. You're bound to be pleased with this attractive bedroom collection in your home. The 0110 collection is a great option if you are looking for Casual furniture in the area. 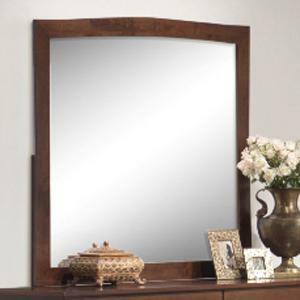 Browse other items in the 0110 collection from BigFurnitureWebsite in the area.